In our house, we’re well-versed in the world of audiobooks as they saved our family holidays. I love to read books (well, duh) but my husband doesn’t. He just never really got into it – his boredom threshold falls around the size of the average newspaper article, which he reads in abundance. Essentially, his digitally-trained brain can’t cope having to read 100,000 words before finding out ‘the point’. My favourite thing to do on holiday is to find a beautiful view and a comfortable seat and settle down with a great book. On our first holiday together I found myself unable to get past a single paragraph without being asked how it was going / did I see the kid with the ball / was I too hot. And so we discovered many years ago that this was a problem we would have to overcome or I was going to drown him in his holiday beer. The only problem is that audiobooks are rather expensive. Roughly €20-30 each, which is understandable when you consider the book’s value in itself, with added production and narration costs. Enter Audible.com, which sounds rather convoluted but is in effect, a subscription service. You pay a monthly fee and depending on which tier you’re on, you get at least one book a month. The only downside for me is the lack of learning. As I’ve barely a toe on the first rung of a writing career, I like to read great writing so that I can learn from it and hopefully imbue a tiny droplet of those writers’ talents into my own work. I do feel that listening rather than reading impacts this, as I can’t fully appreciate the structure, the language, the skill. I find I most value audiobooks when travelling. I get terribly car-sick so have never been able to read in the car or on a bus. Now, however, a journey to Dublin equals at least six or seven chapters. And, when flying, they’re good to block out at least 90% of the ear-torture inflicted by the relentless purveyors of scratchcards, perfumes and bus tickets. Which is always a good thing. So for now, I think I’ll stick to mixing it up, listening and reading. 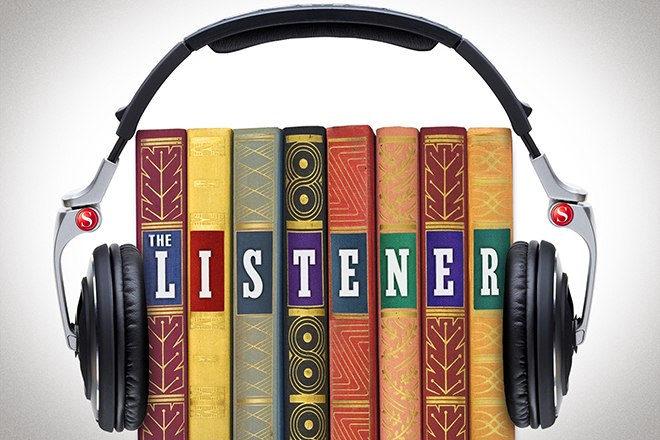 What about you, have you given audio-books a try?